It’s pretty impressive when a successful company can grow from tragic beginnings, but this is exactly the case for Pets Best. In the 1970’s Dr. Jack Stephens was working as a veterinarian when he had to put down a dog due to the owner’s inability to pay for the unexpected treatment the dog needed. A few weeks later, Dr. Stephens bumped into the owners and their daughter when the girl turned around and stated, “You’re the man who killed my dog.” Dr. Stephens was devastated, and it was then he decided to work toward making veterinary care more affordable for owners. Years later, he founded Pets Best Insurance with the aim of building a company that not only had good, comprehensible policies, but was affordable for all ranges of budgets. 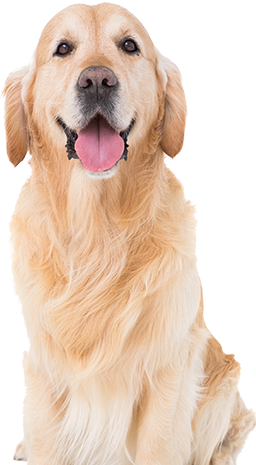 In the short time it has been around, Pets Best has quickly grown to be one of the most successful and most popular pet insurance companies in the market. They do an incredible job of making policies affordable, providing top-quality customer service, and ensuring they are making the claim process as seamless as possible. 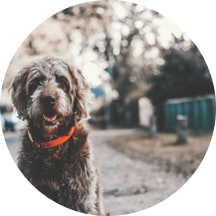 Pets Best was the first pet insurance company to introduce fully electronic claim submittals, tracking, and reimbursements and are always working to make themselves more efficient for their customers. Also, it doesn’t hurt that they were founded by a veterinarian who understands the ins and outs of veterinary treatments and care. 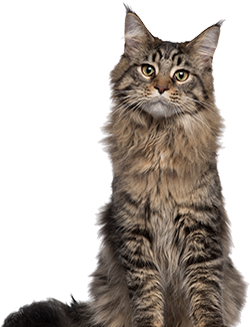 Pets Best does a great job of creating an array of policies that include almost everything an owner could need. They cover the standard care, like accidents, illness, and injuries, but then they also cover the more specialist procedures when your pet needs a hospitalization or has a hereditary condition. They also provide customers with a good deal of options for deductibles, ranging from $100 - $1,000, and reimbursements, ranging from 70% - 90%. We especially like the very short 3-day waiting period (versus the average of 7 days) for accident coverage. This is great peace of mind. As we mentioned before, Pets Best offers a pretty extensive range of potential deductibles as well as reimbursement rates. When looking at the deductible, they are each per year, and you can pick from $100, $200, $250 (this particular deductible can be great value), $500, or even $1,000. Reimbursement rates can be chosen from 70%, 80%, or 90%, and limits vary from the $5,000 to an unlimited plan, meaning that you’ll be covered regardless. For example, did you know that 47% of dogs get cancer, which can easily cost you well over $20,000? How much will I get back from Pets Best? Your dog is out catching a frisbee with your son in the yard and the worst happens when he leaps into the road to catch a loose frisbee on the wind and is struck by an oncoming car. After rushing him to the vet, he will need surgery for a broken leg and lots of pain medicine, but he’ll make it out just fine. The surgery will cost $6,200, and the medicine will be another $775, which totals $6,975. With an 80% reimbursement and $250 deductible, you can expect to get back $5,330 as you chose the unlimited plan. Your playful new puppy gets a bit too playful with a stick on the beach. He gets it stuck in his molars, which while also being really painful is very expensive too. Fear not, Pets Best has got you covered. Your bill of $1,920 including vet exam fees is returned to you, less the $100 deductible you selected and with a 90% reimbursement for a total back to you of $1,628. 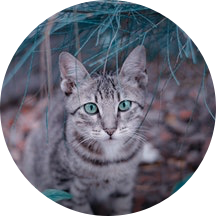 Your cat develops chronic skin allergies that lead to severe infections pretty regularly. Each time a prescription for the antibiotics costs you $485 and this is the sixth infection in two years. For all six infections, the total you would be paying out of pocket is $2,910, but with a $100 deductible and 90% reimbursement, you will get back $2,519. What do pet owners say about Pets Best? 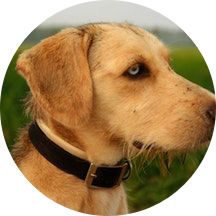 In terms of reviews, customers are constantly thrilled and impressed with Pets Best low prices. Customers also love the quick turnaround time for claim reimbursement checks. With an average rating of 4.6/5, see the reviews of real customers below. I can’t believe ive had three dogs but never heard of pet insurance until now I just adopted a new puppy about 8 months back and one of the shelter workers said I should seriously look into insurance and I told her I already had some for my self and she said no for the dog she said it’s a great way to keep costs low when something goes wrong I decided to look it up later and found so many companies offering it she had mentioned pets best though so I signed up online and it was really easy ive submitted one claim so far and the process was really simple and they got a check to me within a week I was stunned since my owninsurance tries everything not to pay ill definitely stick with pets best. You won’t regret this investment! I’ve used Pets Best for three years now and couldn’t be happier! You need pet insurance if you have a pet! Don’t waste the money out of pocket! Would recommend Nationwide to anyone with a pet. Good service and quick payback. It’s devastating to hear that Pets Best started from such a scarring incident, but it is truly amazing that Dr. Stephens cared about animals and their owners so much that he never wanted another family to have to pick between saving their pet or saving their budget. It’s this mentality of really wanting to help the people they serve that has made Pets Best a top-pick in the industry. Throw in their consistently low prices and comprehensive policies, and you’ll be hard pressed to find many companies who are as dedicated to their customers as Pets Best.